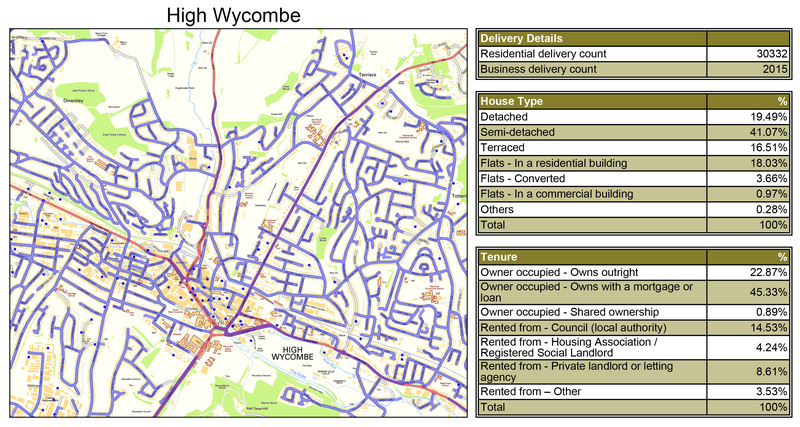 Abracadabra Leaflet Distribution offers affordable and reliable GPS tracked leaflet distribution High Wycombe HP10 – HP15. We have invested in the latest GPS tracking technology and all of our leaflet deliveries are GPS tracked. Our clients usually come to us with a vague idea of what they want their leaflet campaign to achieve and, after a quick discussion, we can offer a bespoke geoplan mapping solution to tap into their target market in the most economical way. No matter what your budget may be, our dedicated team will find a delivery framework that works for you and gives you the best possible results. We can offer you as little or as much support as you like; whether you need us to help with all or just part of your direct marketing campaign needs, we’ll get the job done in the most professional and cost-effective way. For the best possible return on your investment, you can also make use of our in-house marketing and design team who offer customised design, print and distribution packages. To give you added peace of mind, we take immense pride in being a member of the Leaflet Distribution Organisation(LDO) and we follow their ethical code of conduct. But don’t just take our word for it – see what our clients have to say about us by visiting our testimonials page! 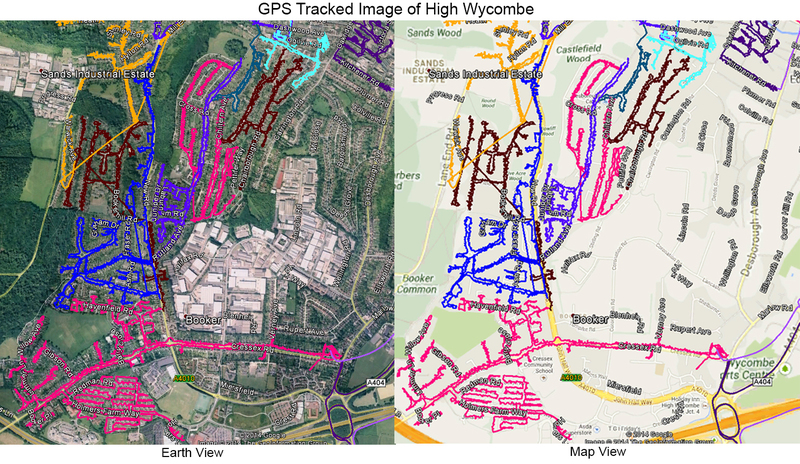 FREE report on the completion of GPS tracked leaflet delivery, highlighting the roads and areas that have been covered, as seen in the above image. We offer a FREE one to one marketing consultation for your flyer distribution campaign. High Wycombe is a large town in Buckinghamshire, England. High Wycombe is a combination of industrial and market town with a traditional emphasis on furniture production. There has been a market held in the High Street since at least the Middle Ages. For your direct mail campaign Abracadabra Leaflet Distribution High Wycombe can cover the town including Wooburn Green, Tylers Green, Flackwell Heath, Raf Daws Hill, Cressex, Booker, Sands, Downley, Stokenchurch, Lane End, Walters Ash, Bledlow Ridge, Great Kingshill, Holmer Green and Hazlemere. Promote your business or tap into new clients in this town through our direct marketing solution. With our flyer delivery service attracting a repeat business rate of over 78%, you can’t go wrong with our complete service.